Happy new year to everyone in Crosspool! 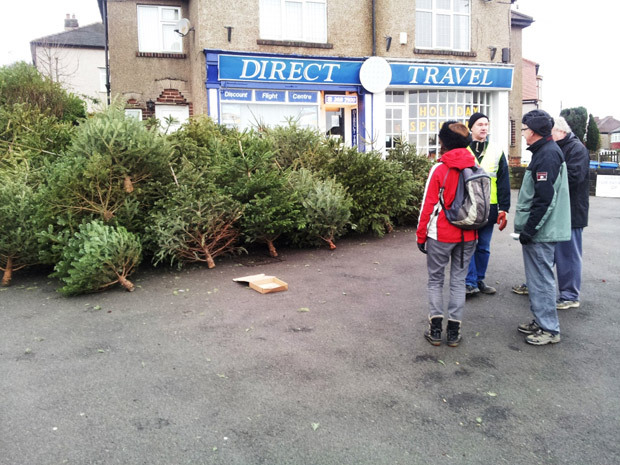 You can bring your Christmas tree along to the area outside Direct Travel on Sunday 10 January between 10am and 12 noon for recycling/disposal by Andrew Fisher from Complete Tree Solutions. Crosspool Forum will be collecting contributions to support the work of the forum in our community and also reimburse Andrew for any expenses. If you would like to give then the suggested donation is £2. Please don’t leave your tree there after 12pm. This entry was posted in christmas, environment, events and tagged christmas tree recycling, complete tree solutions, firewood logs. Bookmark the permalink.